"The criminal justice system in the United States, which deems some people unworthy of redemption-even children who commit serious crimes- urgently needs to hear voices that speak for mercy and restoration. Jeanne Bishop's is such a voice" writes Sr. Helen Prejean, activist and author of Dead Man Walking. 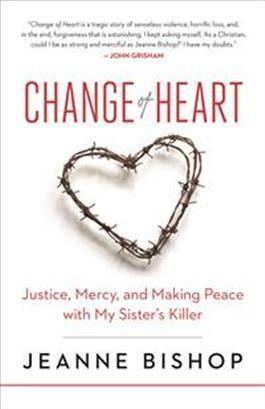 Change of Heart confronts these serious and pressing issues of restorative justice, juvenile life sentences, and incarceration in the criminal justice system. Ultimately, Jeanne is writing more than a memoir of finding faith through extraordinary obstacles. Her compelling story offers a better understanding of what it truly means to be a person of faith. It is a call to action that is a "must-read for pastors, social workers, caregivers, and all who seek to build community with people relegated to the margins" (Greg Ellison, Emory University).